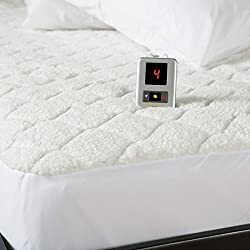 I’ve been looking all over for a really good heated mattress pad – and I believe I found one at a really great price (on sale now here). The reviews and consumer reports are excellent – and again, LOVE the price. 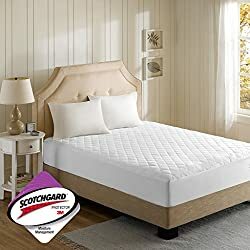 If you’re curious, you can see the 20 best-selling mattress pads here. When I first started shopping around, they seemed to be so expensive, but then I realized one way I can really save money. 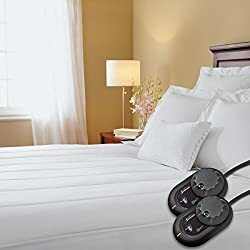 I don’t know if this has crossed your mind while shopping for a heated mattress pad, but did you realize that having one – and using it properly – will help you save money on your power bill? Now that works for me! 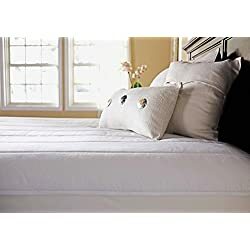 Ana has some great tips below to use your electric mattress pad to save up to 25% on your heating/power bill! 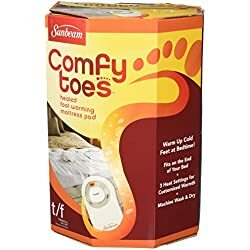 Ok, let’s talk about using an electric heated mattress pad to save some money on your monthly power and heating bill. With winter just around the corner, many of us are dreaming about snuggling up in our warm home away from the cold weather. However, I just can’t get around thinking about how much my heating bill is going to increase. 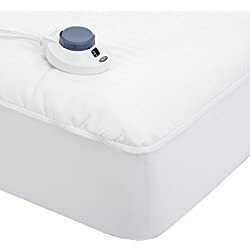 A practical and easy solution I found last winter is getting an electric mattress pad. I don’t know why I didn’t think about it sooner. It’s really simple, easy-to-use, and allowed me to save a 25% on heating bill last winter. It more than paid for itself within a month. 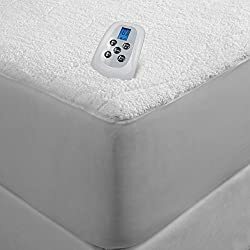 So what exactly is an electric mattress pad? Well, it resembles an electric blanket, but there is a key difference. 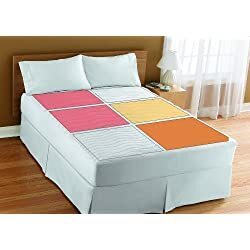 With an electric blanket, you have to turn off the blanket when you get in the bed. 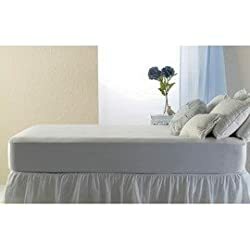 However, with an electric mattress pad, you can leave the mattress pad on low while you sleep. Furthermore, it doesn’t lose heat like electric blankets. The warmth of the electric pad is focused on you throughout the night. You Might Also Like: Himalayan Salt Lamps? What the Heck ARE They? What Do They Do? Now I’m going to show you how to use your electric mattress pad to cut down your heating bill. 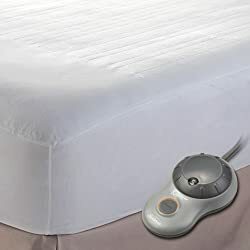 It pretty much works like this; install a mattress pad on each of your beds, turn your thermostat down to about 55 degrees, and enjoy your warm nights sleep. I like to keep my bed around 79 degrees, but you can set yours at whatever you temperature you like. 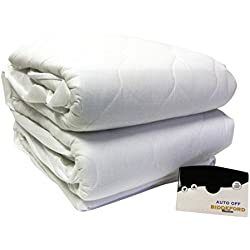 Before you use the electric mattress pad, you will want to remove all of the bedding from your bed. 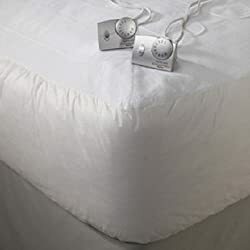 Then place a mattress protector over your mattress. Then the electric mattress pad is placed over the protective pad. You’ll want to make sure the wires exit near the foot of the bed. Route your wires so that you can access the controls from your bedside without having to ever get out of bed. 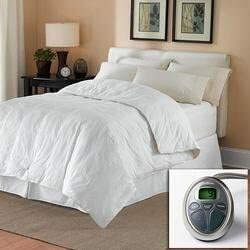 About 30 minutes before you go to sleep, you’ll to turn it on and set it to your desired temperature. Before you go to bed, turn down your home thermostat, and enjoy a good night’s sleep. When you feel the temperature is a little too high during the night, just turn it down. All you have to do is grab the remote by your bed, and turn the temperature down. You get to breathe in the cool air, while the rest of your body remains warm under the comforter. Just remember to turn the mattress pad off before you leave the house for the day. After you’ve used your electric mattress pads for a few years, you might want to throw some rugs right by your bed. You’ll definitely want to think about it if you wood or laminate flooring. More and more homes have radiant floor heating now-a-days, so you probably don’t even need to worry about it. I’m totally going to try those tips. I’m allllll about saving money on my bills! 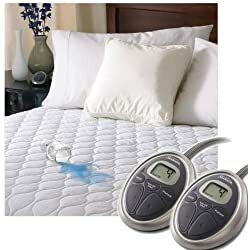 Here are some deals today on heated mattress pads. Some really good prices and sales!